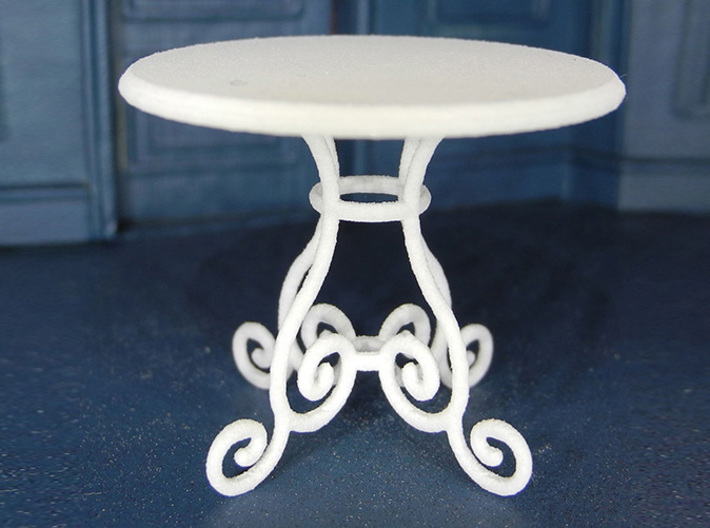 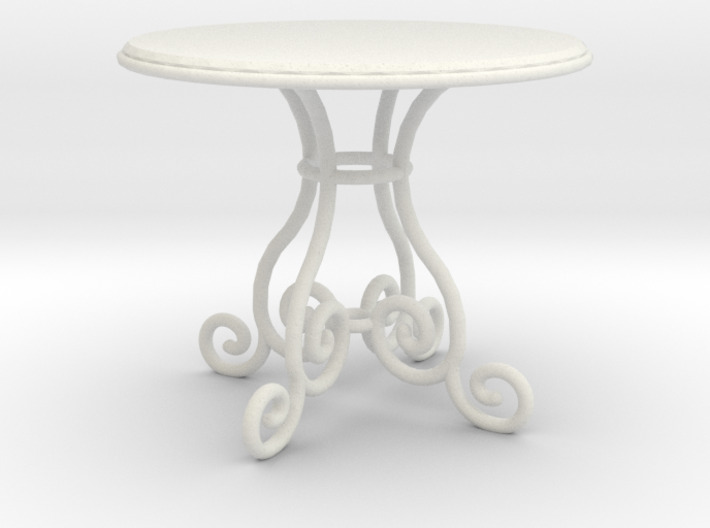 A fancy, rod iron table 1:24 scale. 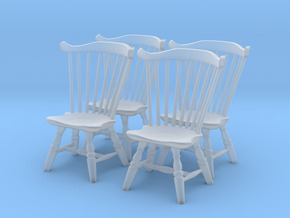 Also coordinates well with our bentwood styles. 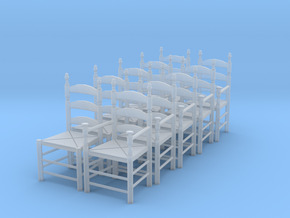 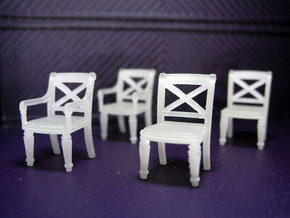 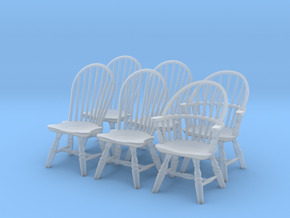 Our 3D printed, 1/2" scale furniture is perfect for scale models of all kinds, including half scale dollhouses, 1:24 architectural models, G Scale train layouts and more.